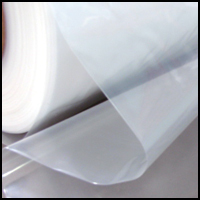 Peel-Plies & Release Films - CST The Composites Store, Inc.
Mylar, 0.010" Thick, 24" x 72"
Mylar, 0.010" Thick, 24", 10-24 ft.
Mylar, 0.010" Thick, 24", 25-99 ft.
Mylar, 0.010" Thick, 24", 100 ft./rl. 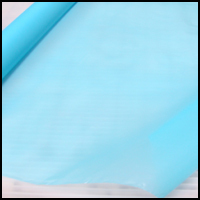 Mylar, 0.014" Thick, 24", 10-24 ft.
Mylar, 0.014" Thick, 24", 25-99 ft.
Mylar, 0.014" Thick, 24", 100 ft./rl. Mylar, 0.014" Thick, 48", 1-9 ft.
Mylar, 0.014" Thick, 48", 10-24 ft.
Mylar, 0.014" Thick, 48", 25-99 ft.
Mylar, 0.014" Thick, 48", 100 ft./rl. 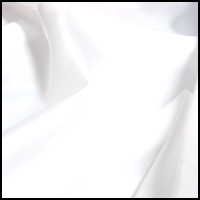 60" Wrightlon Porous Release Film, 2 yd. pkg. 60" Wrightlon Porous Release Film, 10-24 yds. 60" Wrightlon Porous Release Film, 25-99 yds. 60" Wrightlon Porous Release Film, 100+ yds. 60" Wrightlon Porous Release Film, 2,000 ft./rl. Poly Release Film, 16" Tube, 5 yd. pkg. Poly Release Film, 16" Tube, 10-24 yds. Poly Release Film, 16" Tube, 25-99 yds. Poly Release Film, 16" Tube, 100+ yds. Teflon Coated Glass, 12.5", 6 yd. pkg. Teflon Coated Glass, 12.5", 10-24 yds. Teflon Coated Glass, 12.5", 25-99 yds. Teflon Coated Glass, 12.5", 100+ yds. Teflon Coated Glass, 38", 2 yd. pkg. 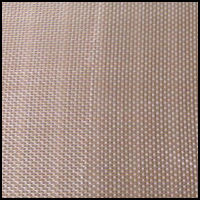 Teflon Coated Glass, 38", 10-24 yds. Teflon Coated Glass, 38", 25-99 yds. Teflon Coated Glass, 38", 100+ yds. Price per 50 yd. roll, Minimum quantity 1 rl. NEW Coated Polyester Peel Ply, 60" wide, 2 yd. pkg. NEW Coated Polyester Peel Ply, 60" wide, 10-24 yds. NEW Coated Polyester Peel Ply, 60" wide, 25-99 yds. 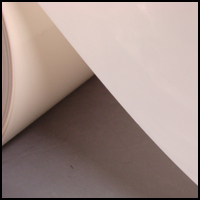 NEW Coated Polyester Peel Ply, 60" wide, Volume Pricing - 100 yds./rl. Price per 100 yd. roll, Minimum quantity 1 rl.